Everyone deserves a second chance. Nate and his teenage daughter need a fresh start, so they move back to the village where he grew up. Nate's transgender, and not used to disclosing his history, so it's hard living where people knew him before. When Nate reconnects with Jack-his best friend from school and unrequited crush-his feelings return as strong as ever. Jack's returned home to get his life in order after an addiction to alcohol caused him to lose everything: his job, his driver's licence, and nearly his life. He's living with his parents, which is less than ideal, but rekindling his friendship with Nate-or Nat as Jack once knew him-is an unexpected benefit of being back home. Jack is amazed by Nate's transformation, and can't deny his attraction. Trying for more than friendship might ruin what they already have, but the chemistry between them is undeniable. Doubting his feelings are reciprocated, Nate fears he's risking heartbreak. Jack's reluctance to tell his parents about their relationship only reinforces Nate's misgivings. 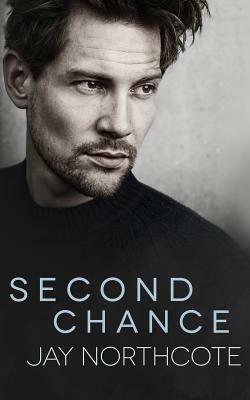 With both their hearts on the line and their happiness at stake, Jack needs to make things right, and Nate has to be prepared to give him a second chance.